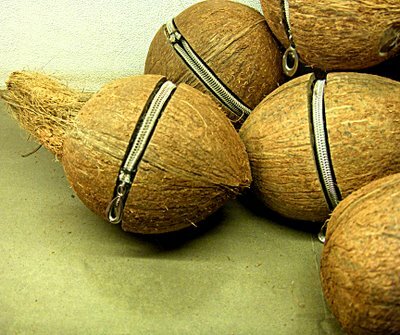 This is a great green gift packaging in the form of ‘coconut zipper’. Open the zip put your delicate of surprises in and be sure it is going to reach intact! Recycle green too! What you say? We as a company who deals in handicraft product globally are intrested in your product. Kindly get in touch, if you are open and intrested in export. It is too good an idea! Roma thanx for mentioning this here! This is the power of a good idea- I must tell madhu!